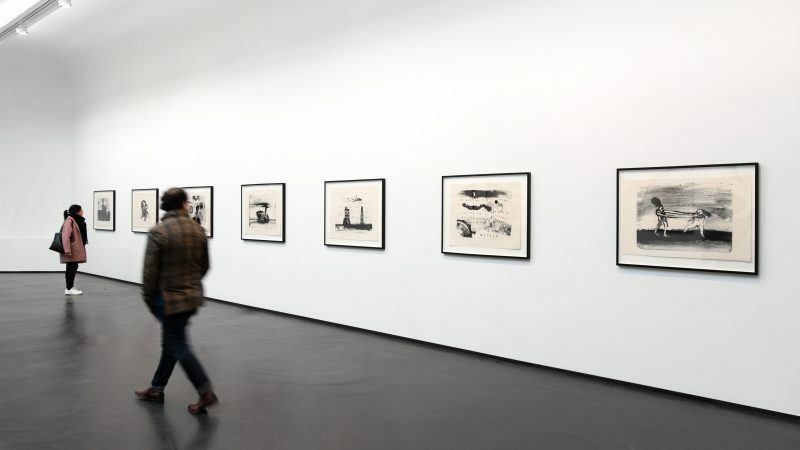 Lynch was the subject of a major art retrospective at the Fondation Cartier, Paris from March 3 – May 27, 2007. The show was titled The Air is on Fire and included numerous paintings, photographs, drawings, alternative films and sound work. New site-specific art installations were created specially for the exhibition. A series of events accompanied the exhibition including live performances and concerts. His alma mater, the Pennsylvania Academy of Fine Arts, presented an exhibition of his work, entitled “The Unified Field”, which opened on September 12, 2014 and ended in January 2015. The Bonnefantenmuseum in Maastricht, The Netherlands presents an extensive David Lynch retrospective: 'Someone is in my House'. Pass by our beautiful bookshop, we're open from Tuesday 'till Sunday!